Banners.com: We've Got Spirit, Yes We Do! We are in full holiday spirit here at our headquarters. Our Secret Santa's have been hard at work surprising our employees throughout the month, and we've been dressing up in our "festive" yet ugly sweaters. 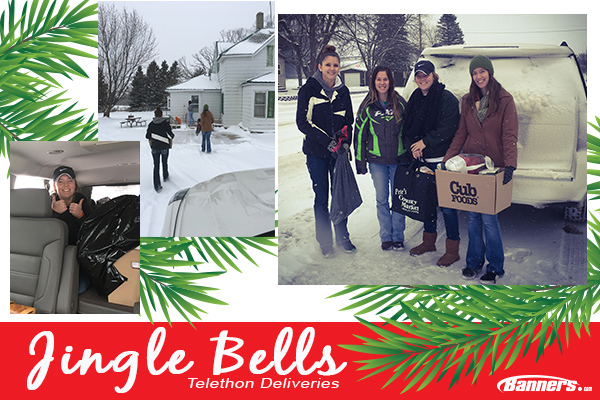 As a company, we also raised $600 for the Jingle Bells organization! We love our Ugly Sweaters! What do you think about our Holiday Spirit?